All of the horses have been running very well indeed throughout the last couple of months with 5 winners & 9 placed runners since the start of 2018. 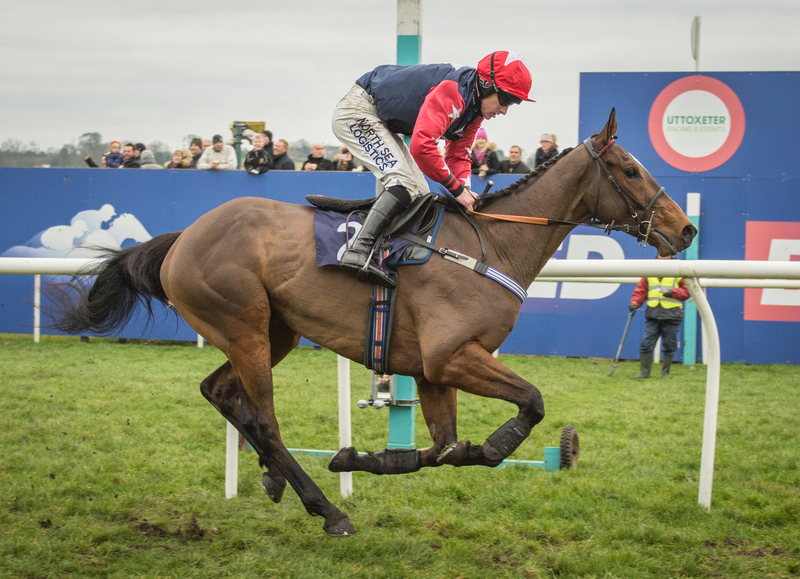 First to grace the winners enclosure this year was Crank Em Up when he landed the Smarkets Novices’ Handicap Chase at Wincanton in early January for his owners Favourites Racing (Syndication) Ltd 12 under jockey David Bass. Despite plenty of good efforts, this was Crank Em Up’s first win since new year’s eve 2016 & he has since followed up with another good run to finish 2nd in the @uttoxetertwit Novices’ Limited Handicap Chase at Uttoxeter. 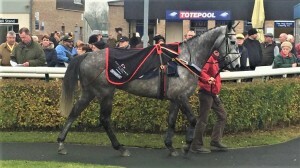 We now look forward to the rest of the season with Crank Em Up who copes very well in the soft winter ground. Our second winner of the new year was Just So Cool. 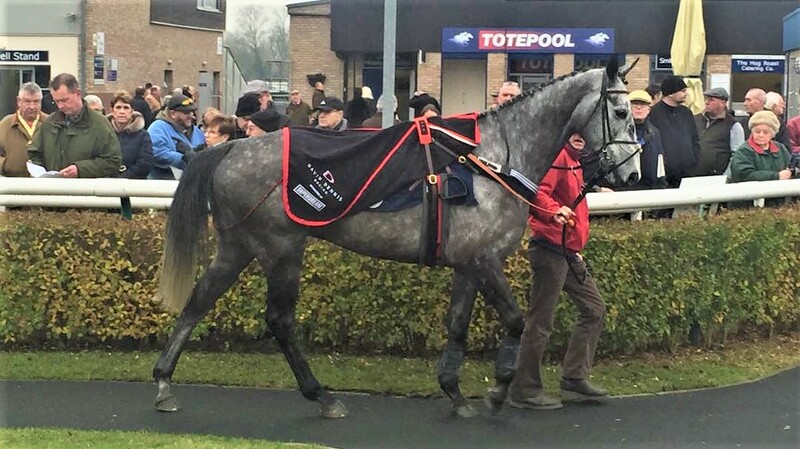 This 7yo by Acambaro was having his first start in nearly two years when landing the Smarkets Conditional Jockeys’ Handicap Hurdle at Huntingdon in good style under Keiron Edgar for his new owners B & S Vaughan & Rose Farm Developments. Just So Cool went onto put up another pleasing performance next time out when finishing 4th in the Betfred Follow Us On Twitter Novices’ Handicap Hurdle at Sandown in early February. 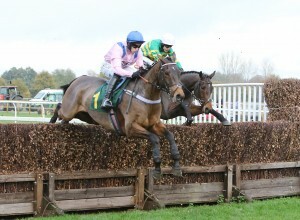 Just So Cool is a lovely horse for the future who is sure to make up into a fine chaser. 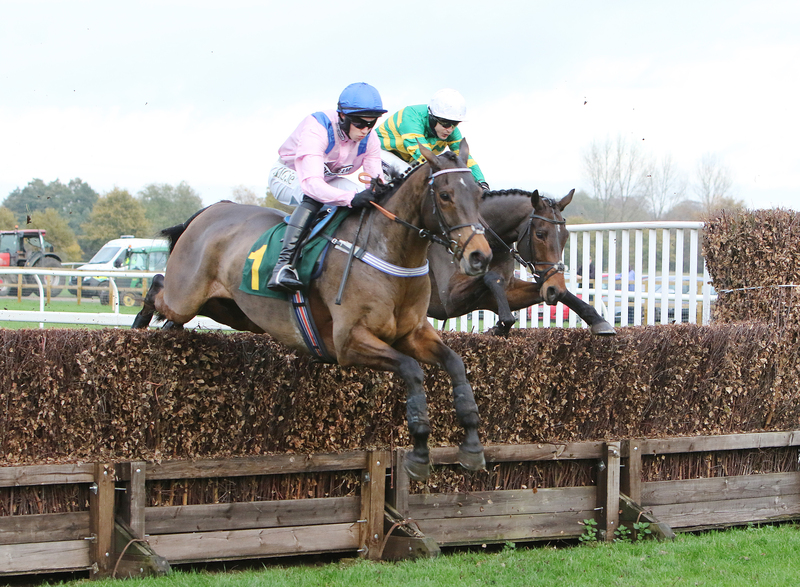 Broken Quest has twice found himself in the top spot so far this year with two wins in succession in the hands of Sam Twiston-Davies for owners Wright Morgan Ltd & Partner. 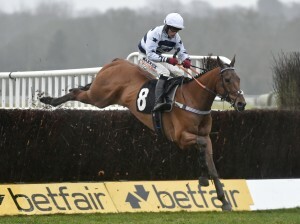 Broken Quest first tasted victory at Huntingdon back in January when landing the FMCG “National Hunt” Novices’ Handicap Hurdle before going onto romp home exactly two weeks later in the Matchbook Casino Handicap Hurdle by a comfortable 15 lengths. Broken Quest is a fine big horse who’s talents are sure to lie over fences in time & he looks to be an exciting acquisition for his owners. 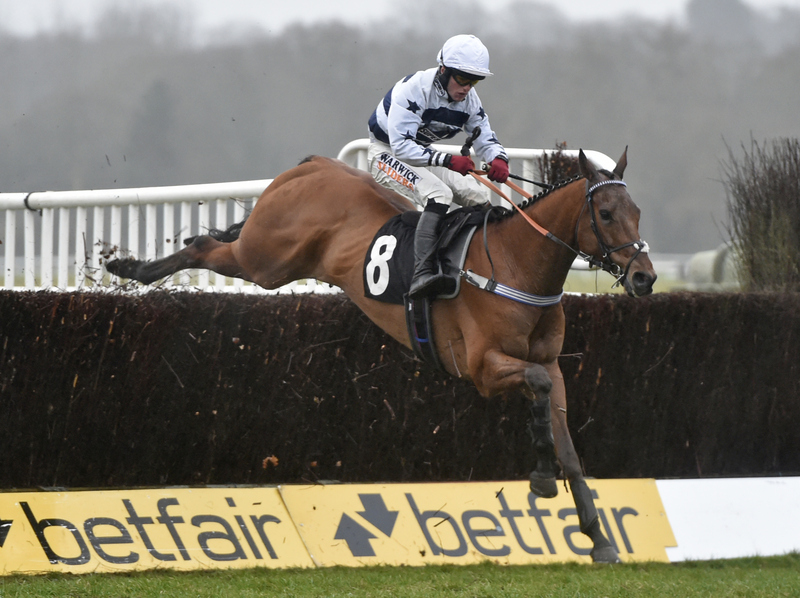 Indy Five has been our most recent winner (10th February) after stepping up a class following his first chasing victory back in December 2017, to land the Betfair Each Way Edge Novices’ Limited Handicap Chase at Newbury under jockey Trevor Whelan for his owners The Dobbin Club. Leading from flag fall, victory never looked in doubt for Indy Five who has now made it two wins from two completions since making the switch to fences this season. This son of Vertical Speed is an exciting individual for the future & we look forward to seeing where he will next be heading. 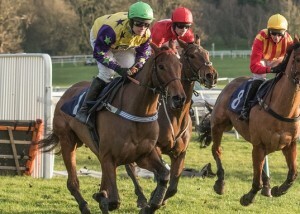 Horses that have been in the placings recently include Final Nudge who finished a gallant 3rd in re-staged the Coral Welsh Grand National Handicap Chase at Chepstow last month & followed up with another pleasing performance when finishing 5th in the Betfred Mobile Masters Handicap Chase last time out at Sandown earlier in February. Peppay Le Pugh has been the bridesmaid in all of his three runs so far in 2018 over both hurdles & fences & we are hopeful he can get his head in front before too much longer. 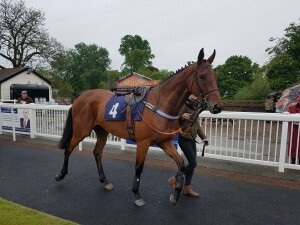 Meanwhile Innisfree Lad narrowly missed out on victory at Huntingdon on his latest outing putting up a brave performance to finish 2nd by only a short head & Jaune Et Bleue made a much better effort last time out finishing 3rd at Hereford for her owners Taylormaid. So as the nights finally begin to draw out & the mornings begin to get just that bit lighter each day, we are reminded that we can look forward to Spring around the corner with hopefully some sun to shine on the horse’s backs & with a little bit of luck, they will continue to run as well as they have been throughout the winter.